Help! It's the end of the world and we need YOU! Pre-Apocalyptic fiction on 7 days ! There is something strange in the city, people look agitated, power cuts more often, suspicious heat emanates from the ground, rats and mushrooms proliferate, a heavy deaf sound can be heard in the distance. Something is about to happen, like the calm before the storm. Some people think this suspence is unsustainable, others see a sweet lethargy in it. 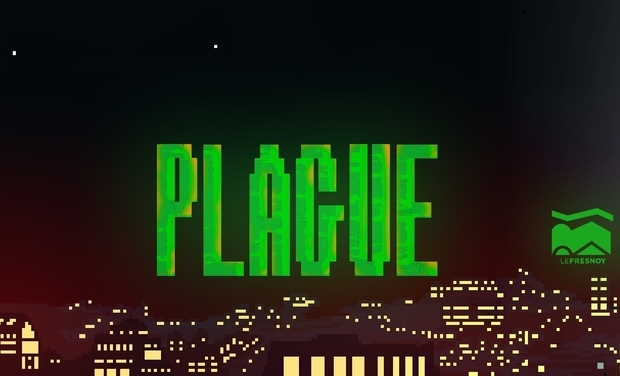 Plague is a video game. Its first part has been developed and produced by Le Fresnoy - Studio international d'art contemporain. This version of the game is avalable at the PANORAMA20 exhibition in Fresnoy until the mid-December. We need you to continue developing it ! These little pixel characters are nihilists of the worst kind, they believe in nothing and consequently, the sad irony is that even the end of the world doesn't come. This little virtual city where they evoluate is a pretext to watch them fuss and get bored endlessly. Nothing is to be taken seriously in this world, because a nehilist is never to be believed even if when the apocalypse seems to happen soon. The idea is to tell an extended story through real time. 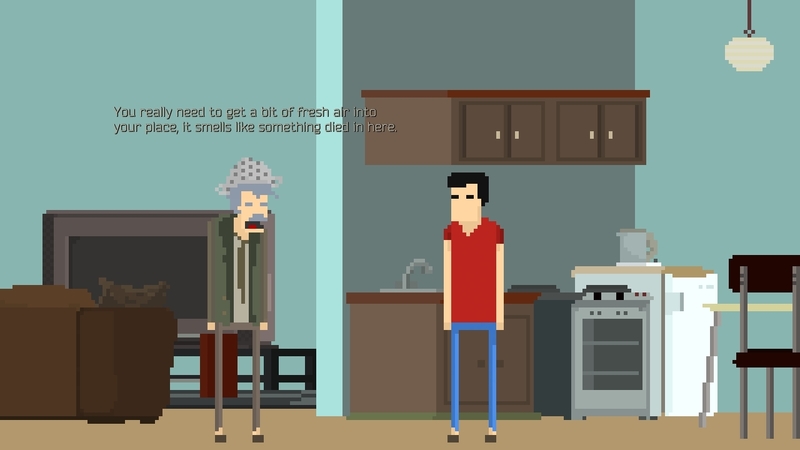 The form is a 90s Point and Click smartphone video game, synchronized to the local time zone. You play as a main character in his daily life, from his apartment to his workplace, visiting a bar, a park, a hotel, a sewer and a cemetery etc. 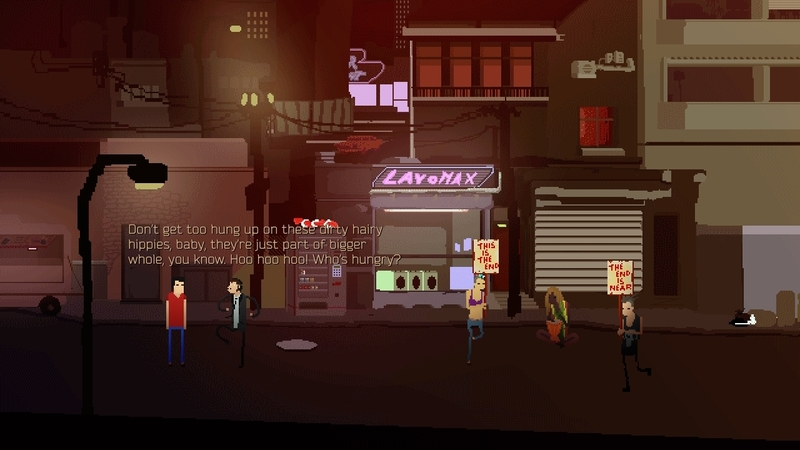 The graphic style is pixel art, it has the aesthetic of the 90s video games (Another World, Broken Sword), the sets are still with animation inside (changes of colors according to time, day / night cycles) . The script is filled with a multitude of appointments (about 150), given by the protagonists during a week, day and night. You have to go to the place at the right time to understand the stories. The dialogues are written as subtitles with some sound intonations and undefinite voices. The story required a rigorous writing. It is built like a loop (no end or beginning but an infinite waiting time), the passivity of the hero, and its lack of influence (whether the player goes to a suggested appointment or not doesn't influence the next meetings he will make with this same character). There is a very large quantity of texts to make the universe coherent and alive, to make one believe in one's own autonomy. Dozens of appointments are offered to the player to each session. It involves a multitude of characters and stories, helping to bring this city to life by fueling it with urban legends and other rumors. The general tone of the story is crazy, absurd and cynical. One of the places of this city is The Under Bar, there will be different concerts every night of the week, at 9PM and for about 45min / 1h (7 concerts a week). 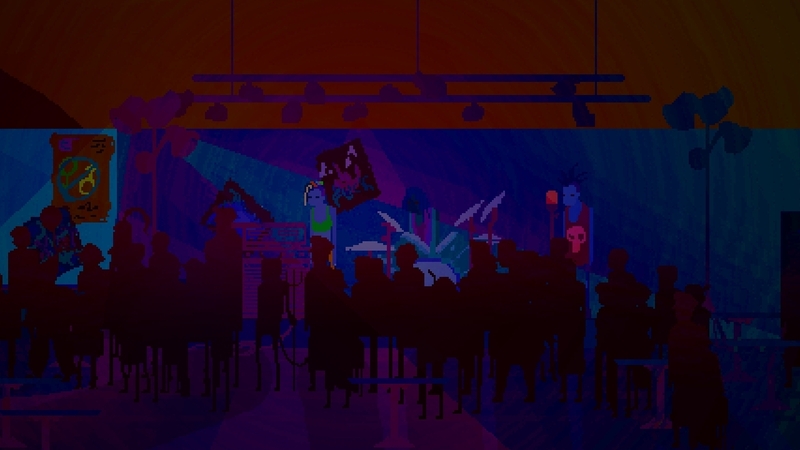 These concerts will be played by musicians and bands (the studio tracks will be broadcast, and small pixelated avatars of the musicians will play on the stage). It's not a real live, just a record to give the illusion in the game. Alexis Hallaert is the developer, he is the architect of the project, he builts this clock mechanism that makes up the city and he has probably hidden a lot of silly things and easter eggs that will be discovered when it will be too late to remove them! Jason Huvet is the graphic designer, he is the one who took care of the graphic atmosphere of the game. The drawings were long and laborious to make, besides if God had created the Earth in Pixel art, he would not have done it in 7 days. La Grande Table Production took care of the sound design, the ambiances, sound effects, but also the intradegetic music heard in the different places. It is always possible to mute and listen to your own music while playing. Damien Jibert is the director, he wrote dialogues and stories. Today he needs money to complete his project. Anyway, the money will not serve you any more after the end of the world so do not be stingy! Laurent Delplanque the production manager. Pablo Albandea who helped with the script and negotiated with the bands. Clément Bruger who helped with the script. Vincent Di Maiolo, Clément Verrier and Valeriya Malinova who helped with the soundscapes. Twenty people for the voices of the characters. The team of translators supervised by Samuel Trainer from the faculty of Lille 3. The teams of Fresnoy and Thierry Fournier who accompanied the development of the project. 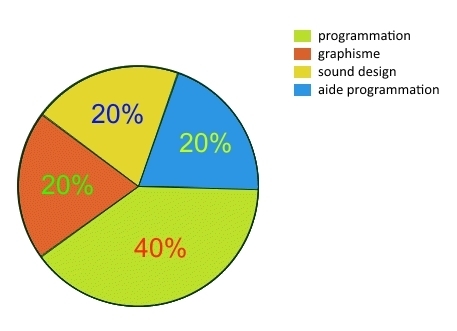 The game is already well advanced, but we must launch a second phase of production to finish it. Production will begin mid-November for about a month. It will begin with a lot of programming, with the animation of the sets and the characters, and at the end, the integration of the soundscapes. The game will be completed​ mid-December. The additional money will allow the development of ancillary activities that have been abandoned during production (the possibility of integrating a game into the game). I will collect the entire collection. est financé par le Ministère de la Culture et de la Communication, la Région Nord-Pas de Calais, avec la participation de la Ville de Tourcoing. Les équipements techniques ont été cofinancés par le FEDER (Fonds Européen de Développement Régional). En partenariat avec le Master Métiers du Lexique et de la Traduction (MéLexTra) de l’Université de Lille SHS. Our distinguished thanks and a version of the game on Android. The satisfaction of the accomplished duty. The same thing and nothing more, you have to be crazy to put more than 200 coins in this game ... (or very rich). But still a huge thanks costs nothing!